Dezine-a-blinds is a privately owned and operated business, specialising in window furnishings inside and outside your home. I believe in truly understanding your needs to give you the best outcome, for a beautiful and functional transformation. We carefully talk through your requirements and understand your style at the very start and work closely with you throughout the installation. With true value, dedication and passion remaining as strong today as the day the business was founded in 2007, I am fully committed to providing exceptional value for money. Modern, contemporary and functionality are key, along with attention to detail being second to none - our products do exactly what we promise, complimenting your environment with style and peace of mind. As Brisbane's largest manufacturer of Blinds, Awnings and Security screens, Franklyn offers the biggest choice at great prices! We're also Crimsafe experts. Book a FREE measure and quote or visit us! All Shutters and Blinds have extensive experience and passion for your window treatment solution. Quite simply, we live and breathe shutters and blinds and work tirelessly to create window coverings for your home that transform the way you live. Curtain Elegance is Brisbane's primary one-stop shop for creating the perfect finish for your home! Mother/Daughter team Denise & Louise are dedicated to providing an incredible experience in bespoke window furnishings to meet your wildest expectations. With over 30 years in the industry, Denise has passed on her love of incredible customer service to her daughter Louise. Coming together as Curtain Elegance, they pride themselves on being one of the most trusted, dynamic duos in the industry, with their main goal to make your home beautiful and unique. As the fearless leaders of the Curtain Elegance team, Denise & Louise offer all types of custom window treatments from the simple roller blind right through to plantation shutters and curtains of all types. Their projects span the scope of small, detailed focus all the way up to the entire Penthouse (quite literally!). Denise & Louise offer one of the largest ranges of curtain and blind materials in Brisbane, with a hands-on showroom full of fantastic stock options; not to mention if you can imagine it, they can create it - Curtain Elegance boasts an incredibly broad range of the latest trends and materials from around the world! As the company Interior Designers trust for their clients, Curtain Elegance is confident you will be delighted with their quality and personal service. Don’t take our word for it… check out our reviews (& website Testimonials!) and see why Curtain Elegance is Brisbane's most trusted bespoke window furnishings solution! Why Choose V Custom Blinds? Our friendly and reliable service takes the stress out of choosing the latest custom window furnishings. We don’t have fancy showrooms like our competitors, so we bring the Blinds straight to you at competitive prices. Our expert designers help you find the best solution for your home, saving you time for a quick and easy turnaround. At Home We deliver Australia-Wide using the fastest couriers to get your products to you quickly. Some of our products can be installed easily, making them ideal for DIY, or we can arrange for expert installation to save you time. From small jobs, to full scale renovations, our custom solutions suit every budget. Commercial & Industry We work with property managers, designers, renovators, property developers, builders, hospitals, child care centres, hotels and more! We’ve built solid business relationships with most leading manufacturers, both in Australia and overseas to bring you the best products the industry has to offer with exceptional value for money! Established in 1972, Murrays Interiors has over 30 years of experience in the industry. Our quality products and expert services are individually tailored to our clients’ needs. We offer an excellent range of products which add style to your home or business. With experienced staff on hand to guide you every step of the way, we strive to find a product that meets your taste and requirements whilst also being affordable. At Murrays Interiors we supply window furnishings, soft furnishings and wallpaper to property developers, home owners and businesses across the country. Our goal is to meet and exceed clients’ expectations. We understand that not everyone has the same taste but we go above and beyond to ensure your satisfaction. We pride ourselves on offering a vast library of fabric and wallpaper samples that people can view in our showroom. At Murrays Interiors we work alongside you to achieve the results you want. Our products not only look great and but are practical too. Trust us to provide tailored solutions for your interior space alongside products that will enhance your room. 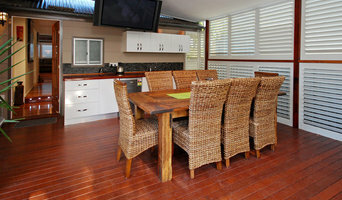 At Murrays Interiors we also supply custom-made shutters, blinds and awnings for your latest project. With a friendly and professional team available for guidance, we offer a personal, tailored service for new builds, room revamps and even full renovations. Our attention to detail ensures each client has their needs met. We always deliver our products on time and within budget. Custom made window coverings created just for you, from Veneta Blinds online store 24/7 and delivered anywhere in Australia within 14 days. Exceptional quality, value for money and backed up with friendly service and advice. Shop online now to create that perfect window covering solution for your home! At Instyle Blinds and Shutters, we pride ourselves on our locally made window treatments right here in Brisbane. With over 15 years of experience in interior design, window furnishings and renovations, we provide you with a unique, personalised service and the best products. 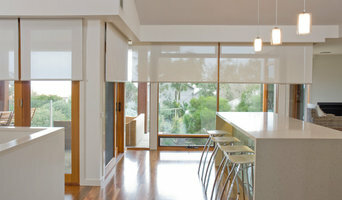 We're also proudly Australian and use only Australian made blinds and interiors which we custom make and fit for you. We want to make sure the process of selecting and installing the right blinds for you is easy and within your budget. Our experienced team will put you first to find the perfect solution and style for your home or office. Contact us today for a complimentary in- home consultation, We've got you covered. FKR Group is a small family owned and operated business located in Brisbane. We pride ourselves on providing quality products at affordable prices and where service really matters. Specialising in: •Internal Blinds & Curtains •External Blinds & awnings •Shutters •Motorisation At FKR Group, quality products and good old-fashioned customer service are our priority. From the first time you talk to us to the final installation of your products, we aim to be punctual, polite, honest and reliable. Call us today for a free quote. Color, texture, light, furnishings – details like these can transform a room, making you feel like a new person whenever you’re in it. At Distinctive Blinds And Shutters, our goal is to help you become the person you aspire to be. Traditional Hampton? Contemporary or Art Deco? We’ll guide you through the decisions, providing fresh options and then stand back while you choose your favorites. We pull it all together into a home or office design that is beautiful, functional and uniquely yours. Distinctive Blinds And Shutters supervises the entire project to finish. QBSA licenced installers that are second to none. Qld Custom Shutters is an Australian family owned company with more than 12 years experience in plantation shutters, blinds and awnings. We strive to provide quality window fittings at the most affordable prices in Queensland. All our products are 100% custom made and ordered to fit your window, doorways, balconies, outdoor living areas. WELCOME TO THE IVORY TOWER - FABRIC & WALLPAPER We are the original wallpaperaustralia.com.au and have been selling fabric and wallpaper Australia wide since 2008. We have also been supplying fabric and manufacturing (curtains, roman blinds, bed ware, sheers, linings, cushions etc) and wallpaper in Brisbane since 2000. 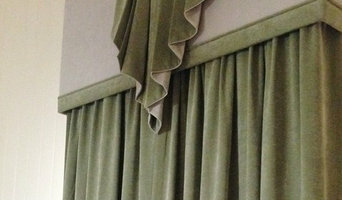 At The Ivory Tower - fabric & wallpaper we understand the importance of choosing Window Treatments. They are a fundamental starting point for your interior design scheme. With our expertise and experience we can give you professional advice with design, colour and style in mind. We have done and do work for Residential (Brisbane - Sunshine - Gold Coast...) AND Commercial (State Parliament House - Shopping Centers - Offices - Gyms - Boutiques - Retirement Villages - Offices - State Court House...) We use only the highest quality fabric and wallpaper from reputable suppliers from here in Australia and overseas. Romo Fabrics, Studio G, Harlequin, Sanderson, Scion, Clarke & Clarke, Villa Nova, Ashley Wilde, Black Edition, Vision Wallcoverings, Zepel... Quality of Workmanship is key. Our product range includes: Curtains, Linings, Sheers, Roman Blinds, Roller Blinds, Shutters, Swags & Tails, Custom Bed Wear, Scatter Cushions, Window Seats, Indoor and Outdoor Seating and Cushions, Upholstery of Chairs, Lounges etc. With our extensive collection of Wallpapers (Vinyl, Textures, Grass Weaves, Beaded, Flocked, Geometric, Striped, Floral...) and Wall Murals we are able to guide you to a suitable wallpaper selection for your home or business. If you are in Brisbane you can drop into our fabric and wallpaper shop and view the thousands of samples or our online shop for fabric and wallpaper Australia wide (free shipping). www.wallpaperaustralia.com.au www.fabricwallpaperaustralia.com.au So enjoy decorating with The Ivory Tower - fabric and wallpaper and remember you are only limited by our imagination. Standardmåtten på rullgardiner passar inte i våra fönster, hur ska man gå tillväga? Om man inte är den som drar fram symaskinen för att rätta till storleken på sina gardiner så finns det självklart hjälp att få. Genom att kontakta en gardin- eller persiennbutik i Collingwood Park kan man enkelt få tag i måttbeställda rullgardiner, vanliga gardiner, träpersienner, lamellgardiner eller persienner. När du beställer dina rullgardiner kan du välja både bredd, höjd och justeringsmetod. Här finns allt mellan kulkedja till traditionell fjädermekanism. Rullgardiner eller persienner som är måttbeställda kan kosta en krona extra men visst är det värt det i slutändan. Utför butiken även monteringen av mina persienner? Här kan man välja om man själv vill ge sig på att installera sina persienner eller om man behöver hjälp från någon inom branschen för persiennmontering i Collingwood Park. Just persienner kan vara en aning knepigt att få till och när man ändå måttbeställt dem så kan man likväl få dem på plats korrekt. Vart vänder man sig vid byte av markiser? Det finns många markisbutiker i Collingwood Park, QLD, AU som erbjuder helhetslösningar. Dessa levererar både produkt samt montering och installation. Du hittar enkelt markiser hos återförsäljare både på nätet och i butik och ofta kan de erbjuda allt efter dina önskemål. Det viktigaste är att markiserna håller för väder och vind, de ska trots allt vara utomhus. Markiser förlänger huset och markerar rummet utomhus. När du byter dina markiser kan du även fundera över hur du vill anpassa storleken. Vill du att markiserna anpassas manuellt eller för hand? Tala gärna med din butik om vilka möjligheter de kan erbjuda. Vi önskar dig i alla fall ett stort lycka till!